Are you someone who enjoyed having Spaghetti O’s as a meal when you were little? Parents might not want their kids to have meals like Spaghetti O’s in a can due to it being a processed food. 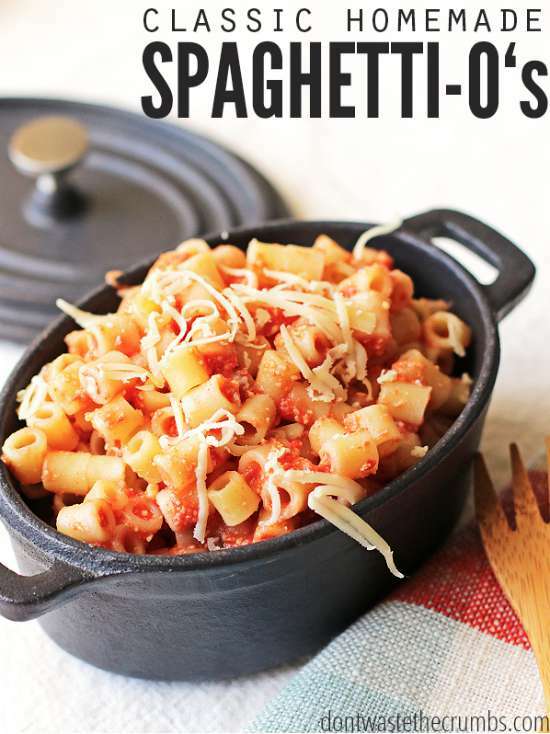 One option you will have is to make homemade Spaghetti O’s when you want a fun and tasty meal. The key to being able to make homemade Spaghetti O’s is getting the right type of noodles. You can buy a box of round noodles from the store or you can make your own. Making your own noodles is better, but the process can take awhile. Another key component for homemade Spaghetti O’s is making the sauce. This will be a great way you can use a fresh crop of tomatoes from your garden. Your total cost to make this type of meal will be less than the cost of two or even three name brand cans from the store.